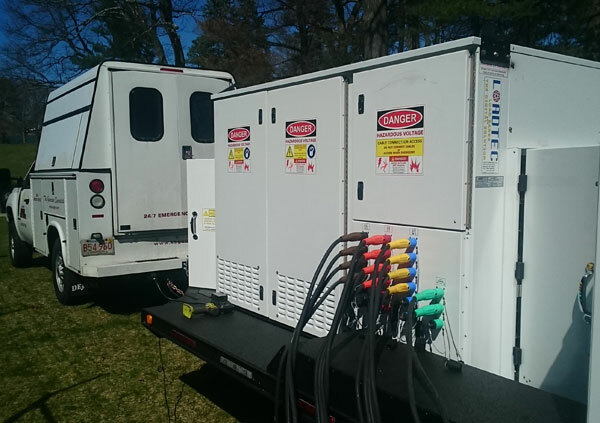 Most generator manufacturers load test generators as a part of the manufacturing process. Shipping, installation and installation design (to include paralleling of emergency generators) can provide un-planned issues. 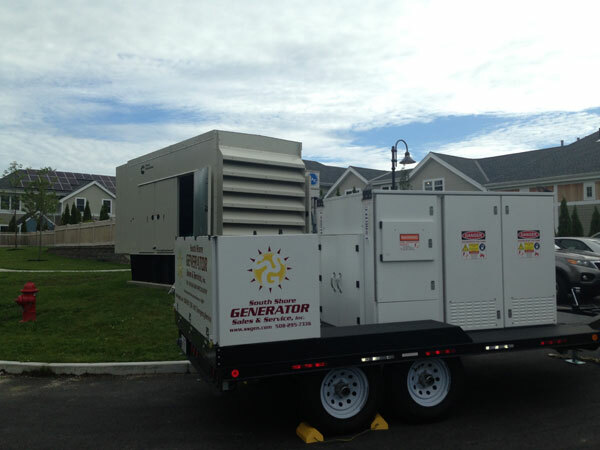 To prevent loss of time because loss of utility power, scheduled load testing of backup generators is recommended. When testing an emergency generator configuration, the engine, generator and controls systems are tested. Load banks can be used in place of an interruption to facilities load. This device simulates an electrical load for generator output power. Load banks can be defined as a self-contained, unitized, systematic device that include load elements with control and accessory devices (system that tests emergency generator and associated systems). Resistive and Reactive are the two styles of load bank testing systems available. Ruling agencies such as NFPA, life-safety and JCAHO, among others, require certain sites be tested with load banks on a regular basis. It is also commonly recommended for any diesel fueled generators to have periodic load banking performed to prevent wet stacking. Wet stacking is a condition in diesel engines in which unburned fuel passes on into the exhaust system. This condition can have several causes. The most common cause is idling the engine for long intervals, which does not generate enough heat in the cylinder for a complete burn. "Idling" may be running at full rated operating speed, but with very little load applied. Another is excessive fueling. That may be caused by weak or leaky injectors, fuel settings turned up too high or overfueling for the given rpms. Cold weather running or other causes that prevent the engine from reaching proper operating temperature can cause a buildup of fuel due to incomplete burn that can result in 'wetstacking'. In diesel generators, it is usually because the diesel engine is running at only a small percentage of its rated output. For efficient combustion, a diesel should be run under at least 60 per cent of its rated power output. It is detectable by the presence of a black ooze around the exhaust manifold, piping and turbocharger, if fitted. It can be mistaken for lubricating oil in some cases, but it consists of the "heavy ends" of the diesel fuel which do not burn when combustion temperature is too low. The heavier, more oily components of diesel fuel contain more stored energy than a comparable quantity of, say, gasoline, but diesel requires an adequate loading of the engine in order to keep combustion temperature high enough to make use of it. Often, one can hear a slight miss in the engine due to fuel buildup. When the engine is first placed under a load after long periods of idling and wetstacking it may blow some black exhaust out as it burns that excess fuel off. Continuous black exhaust from the stack when under a constant load is also an indication that all the fuel is not being burned. This testing will not allow the generator to produce the full Kilo-Volt Amperage (KVA) rating. KVA is absolute value of complex power equations. A volt is considered electrical pressure and an Amp is considered electrical current. KVA is the product of the amperage and voltage. Reactive load banks are used to test the engine generator at its rated power factor. Power factor is the measure of how efficiently the load (current) is being converted into useful work output. It is a good indicator of the effect of the load (current) on the efficiency of the generator. A power factor of 1 would indicate 100% efficiency. Most generators run with a power factor of .8 (80%) efficient. SSG is one of only a few vendors in the area that has the ability and equipment to perform reactive load bank testing.